Our little kiddos have a look. You know what I mean. It's a crazy kind of wild eyed look they get when they need a break! I try to finish up all of my FOSS kits right before break so that I can finish the school year with the last kits I need to do, so one last week of FOSS Balance and Motion. I wanted to find a great way to tie in the concepts of rolling, spinning, and sliding and wanting to make it completely hands on! I LOVE Legos and so did my son. He is now almost 14 and the Lego box has not come out in a while. Why not pull them out and take them to school for my first graders to play with. Did I say play? Okay...what I really meant was learn with. No...I really did mean play! I am so very fortunate to be able to use my time to integrate fun ways to tie in our concepts through toys and STEM activities! I try to find ways to play with a purpose whenever I can! So what I did was planned 6 stations that had the students rotating once they finished the building and reflection sheet...they could move onto the next station. What I didn't realize as my first graders started working and playing with the Legos is that on average 4-6 students per class had never played with Legos before. Legos are expensive and I teach at a school that is 82% poverty. Sometimes I forget that the opportunities that my own children had are not accessible to my students. I realized that these stations meant more than I originally thought! Wanting to set up these fun Stations in your room? 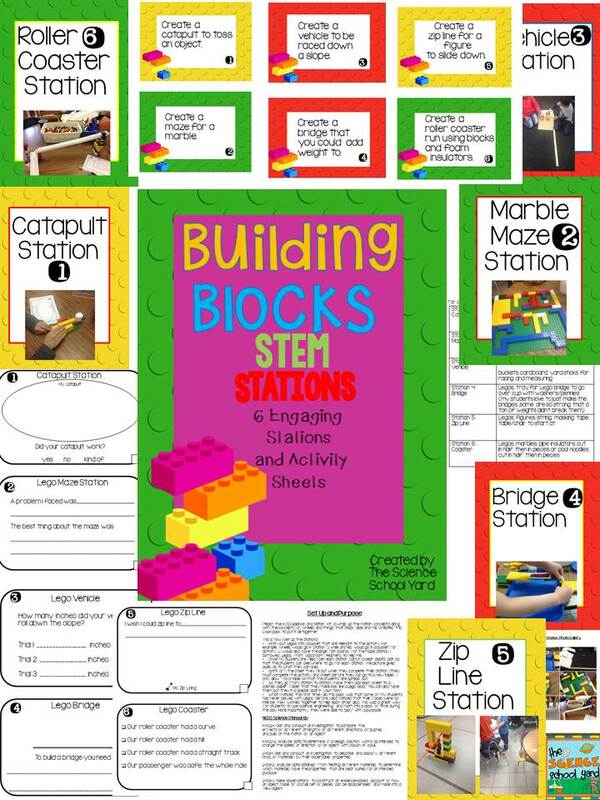 Here is the linkto my TPT store...Give these stations a try!